DiRT 3 was developed and published by Codemasters. While still a Colin McRae series game, the name was dropped from the title for the North American audience. Racing is rally cross style and takes place on a track. 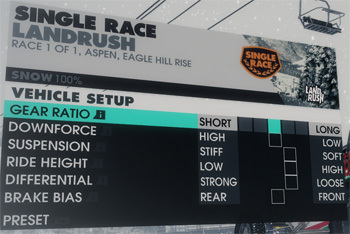 Like any respectable racing game, Dirt 3 has a preset that recognizes the G27. Be sure to follow the steps in the list below to quickly setup the game and get racing. Unlike the previous Dirt game, you don’t need to worry about having the game patched before using your wheel. It also has better support for the Logitech software. Dirt 3 allows you to choose between Automatic, Paddle Shifters, H-Shifter no clutch, and H-Shifter with clutch. I actually found the clutch to be very unforgiving when I first loaded up the game, so beware. There are a plethora of other options as well. Beneath the Transmission selection, there is an Advanced Wheel Settings page where you can tweak deadzone, saturation, and linearity. 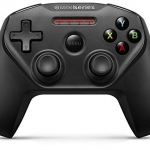 Since this article is for casual gamers, I will leave you to play with those settings. However, if you want to tweak how the on-screen wheel turns in relation to the actual wheel in your hands, you want to adjust the linearity slider. Finally, there is a also a dedicated Vibration and Feedback section where you can tweak Force Feedback. This screen is a separate option besides Controls. These are similar to the Logitech Profiler, so you can either play with those settings here or under the Specific Game Settings in your Profiler. Map any additional controls to your liking. The preset below handles the critical stuff. The only important button you may want to change is the E-brake button. Below, mess with Linearity if you want to change your degrees of rotation and still have a 1:1 turning relationship with the on-screen steering wheel. Solid Tip: You can increase the degrees of rotation up to the full 900°, but that makes this game very difficult. 200° and the default settings is easy to control and matches the on-screen wheel’s turning action. Dirt 3 Force Feedback is solid and varies based on the terrain. You feel both impacts and the surface you are driving on. Casual gamers won’t worry about this section. Thankfully, you can ignore many of the control settings for Dirt 3. I say thankfully because there are still 2 more sets of options to show you! 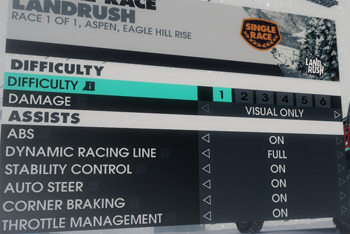 When you load up a race track you have a final screen before starting where you can choose Difficulty and Assists or Vehicle Setup. Both of these options affect your experience as much, if not more, than the other control options. Vehicle setup is for tuning your car, so it is obviously for experienced drivers. It defaults to all options right in the middle. 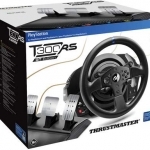 Difficulty and Assists is more critical, as it interferes with your own driving by default. Aside from a numbered difficulty 1-6, this section has assist presets (or you can change individual settings to your liking). Assists default to the “Casual” level (how fitting for this article). The game will automatically slow you down going into corners which may make you mad. It will also try to steer for you? and enable ABS and Traction Control. That’s what you need to know about setting up your Logitech G27 to play Dirt 3 on your PC. There are tons of options, but you don’t have to modify much to have fun. Check out one of the many other G27 articles to see if your other favorite racing games are supported. Like the review I found that most of the default settings were ok I adjust the ffb advance option depending on surface of race. yeah but i have a feeling your talking about on the pc what about the ps3 how can i set the full 900 degrees of rotation for dirt3 if i play on playstation? 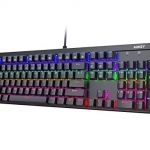 Yes, these G27 articles are for the PC only. For PS3, you are stuck with the options in the options menu, since you can’t use the Profiler. I have tested 900 degrees of rotation on my g27 but the problem is that the minimum deadzone is 5% and that makes the steering wheel dropp to much steering movement making the game hard to play so i have to go back to 200 degrees of movement. I hope that codemaster will fix this 900 deegres problem. My screenshot above shows the deadzone at 0%. Why do you say it is 5%? Also, don’t hold your breath for a game update. Did all of that, but once I go into the game and chose profile, “Keyboard” is the only option. Any suggestions? I’m running it from “Steam” if it makes a difference. 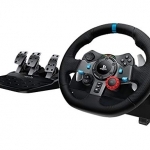 Have you made sure the wheel is working properly with other racing games? Check out the comments in my older Dirt 2 article (). There were at least 2 people with a similar problem. Thanks for the quick reply. Yes, it works with iRacing. I’ll check the Dirt2 article.